Napa, CA--The seventh annual Napa Valley Arts in April will showcase over 40 arts and culture events across the Napa County from American Canyon to Calistoga and in between. 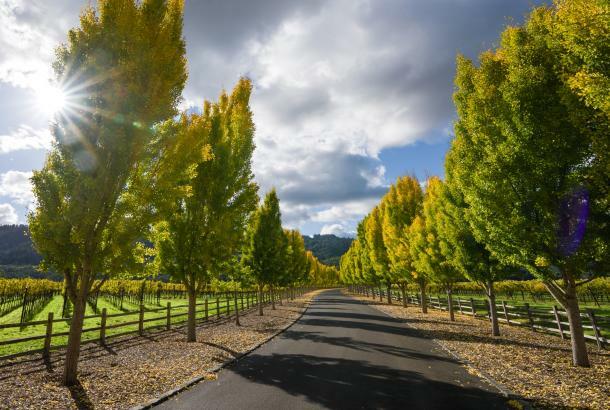 In addition to the independently-produced events that dot the idyllic valley at wineries, museums and galleries, the county will host five central city events that celebrate each town’s unique scene including Calistoga, St. Helena, Yountville, Napa and American Canyon. Napa Valley Arts in April is a production of Arts Council Napa Valley with major support from Visit Napa Valley and the County of Napa. SARAFORNIA: The Arts of Calistoga is a four day grassroots celebration of Calistoga&apos;s bohemian spirit. Begin your cultural deep-dive with FLOWER BOMB, an exhibition featuring floral interpretations of iconic masterworks and local original artworks; continue the adventure with the third annual ENGAGE Art Fair, a unique and interactive showcase of local and Bay Area artists. The weekend will include family-friendly art activities, public artwork throughout town by artists Lisa Kaplan and Karen Lynn Ingalls and the vibrant Storytelling Speakeasy at TANK Garage Winery highlighting the art of storytelling, poetry and live music in the style of popular podcasts This American Life and The Moth. 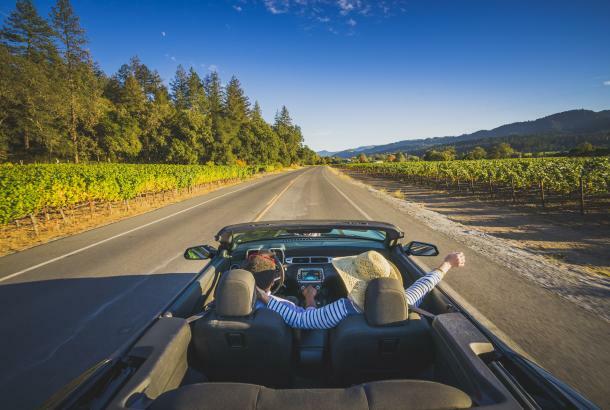 You’re invited to kick back with some Calistoga culture this spring - get out and get boho! Bringing together music and performing and visual arts, FLOW: Arts at the River will highlight buskers on the Oxbow switchbacks, an official stage presented by Festival Napa Valley and participatory arts activities designed by Napa’s high school students. Walk along McKinstry street for food and beverages and end up in the new RAD to watch Spanish street artist Cinta Vidal as she works on her mural and help sort broken tiles for the Quake Mosaic, a massive public art piece addressing the devastation of the 2014 Napa Earthquake. Be a part of the art with our community sing led by a professional choir instructor, Cindy Skinner. Finally finish the day with renowned Cuban pianist and performer, Aldo Lopez-Gavilan presented by Festival Napa Valley. 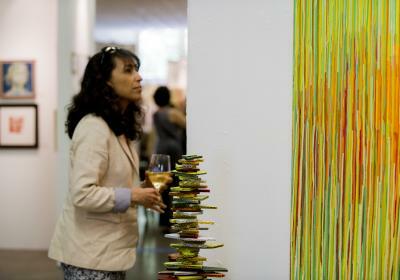 Come join us for a one day glimpse at the vast creative culture in the City of Napa! St. Helena&apos;s Lyman Park will come alive with arts and culture for the town&apos;s celebration of Napa Valley&apos;s Arts in April. "Arts in the Streets" is a nod to the beautiful complexity of St. Helena&apos;s modern and multicultural identity from generations of winemaking families to our rich Latino community--St. Helena is made great by its cultural diversity. In the spirit of this theme, the park will come alive with community interactive art with Nimbus Arts, poetry from the Napa Valley Writer&apos;s Conference, culinary delights from the Napa Valley Cooking School and music from local bands across the valley! Please join us in celebrating each other through the arts. Wine tasting is woven throughout this unique experience offered by HALL, a modern winery that showcases some of the most eclectic contemporary art in the Valley. 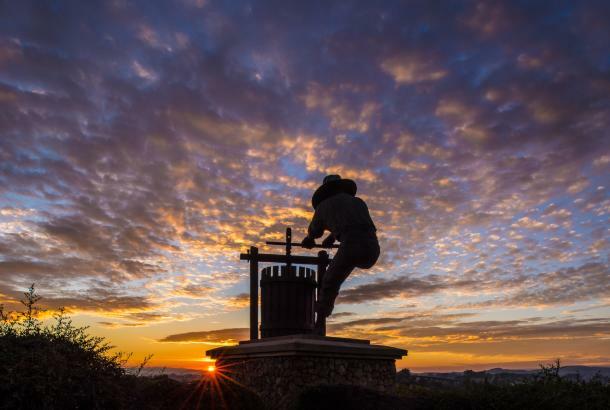 Guests are invited to enjoy tastings of news wine releases as they embark on a walking tour around the property showcasing some of the most influential artists working today such as John Baldessari, Jaume Plensa, Jim Campbell, and others. 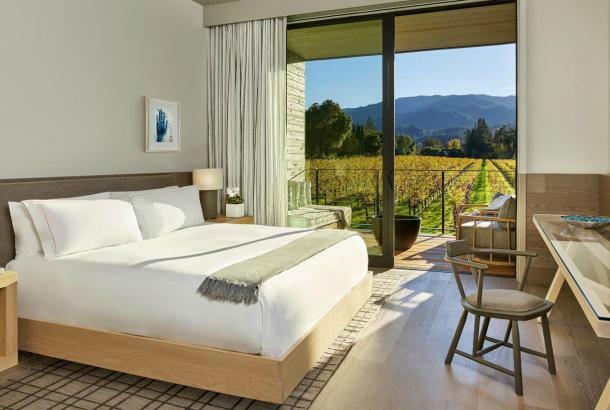 Designed to nurture your soul and ignite your imagination, the Wine and Art Exploration experience is offered Sundays at 11am, and COMPLIMENTARY, 45 min for up to 4 guests as part of Arts in April in Napa Valley. Call 707-967-2626 or visit hallwines.com. This April the Robert Louis Stevenson Museum is partnering with Kendra Kelperis and Robert Louis Stevenson Middle School to present Inspired by Stevenson, a public art installation of original works inspired by the poetry of Robert Louis Stevenson. Throughout the month of April the RLSM will display interpretive works of art crafted by 25 middle school students from Robert Louis Stevenson Middle School. Each piece is an interpretation of one of Stevenson&apos;s poems from "A Child&apos;s Garden of Verses" and is unique to each student&apos;s creativity and imagination. The goal of this project has been to bring the past with the future and combine two different artistic mediums to create one new work of art. Bunny Hop Printmaking Workshop with Nancy Willis. Get a jump on spring with this relief printmaking workshop and create beautiful artist prints and a printed canvas bag. No experience necessary! Carve, ink & print! Take 1 or 2 sessions. Pastries and Prints 9:30 to 12:30 and Pinot and Prints 1:30 to 4:30. $75 per session includes all materials and nourishment. Event takes place in Willis&apos;s Napa art studio. ÆRENA Galleries & Gardens will be featuring the popular metal leaf embellished paintings by Kate Salenfriend at all five gallery locations throughout Arts in April. 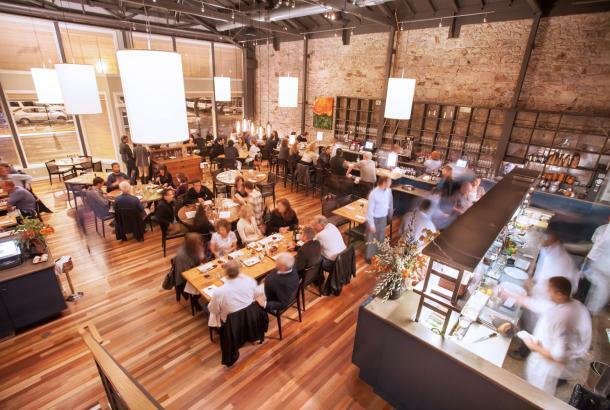 Additional events include an artist attended luncheon paired with Blackbird Vineyards wines and a Morimoto bento box on April 28 from 12:00-2:00 p.m. at RiverHouse. RSVP required. Contact info@aerenagalleries.com. Meet Salenfriend from 10:00 – 11:00am and sculptor Giuseppe Palumbo from 3:00 – 5:00pm at Auberge du Soleil on Sunday April 2nd. Please email ads.events@aubergeresorts.com for additional details and to RSVP. Visit aerenagalleries.com for more information on our artists. Jessel Gallery will celebrate Arts in April with an Artist Reception on Friday April 7th from 5pm to 8pm with refreshments. Over the course of April, visit the gallery to see live painting demonstrations each weekend from local artists Marcia Garcia, Diane Pope, Daniel Mundy, Susan Hoeh , Molly Corbett, Jeanette Monterio, Sharon Crary and Jessel Miller. Rutherford Ranch Winery is honored to host an afternoon with local artist Tim Howe. Tim’s works reflect his contemporary interpretation of landscapes, showcasing his unique ability to incorporate the disciplines of both Abstraction and Impressionism. Tim believes there are no boundaries in nature; therefore sometimes the lines are blurred. His artistic impressions lie between the two. Experience his work in action and spend an afternoon with Tim as he paints in our beautiful Abela vineyard setting. Sunday April 9th from 1pm -4pm. In honor of National Poetry Month, the Napa Valley Writers&apos; Conference, a project of Napa Valley College, will host an evening of readings and discussion of the role of poetry in our communities. Our featured presenter will be Dana Gioia, the author of five full-length collections of poetry as well as Can Poetry Matter?, which helped to revive the role of poetry in American public culture. As Chairman of the NEA from 2003 to 2009, Gioia strengthened the national consensus in favor of public funding for the arts and arts education. 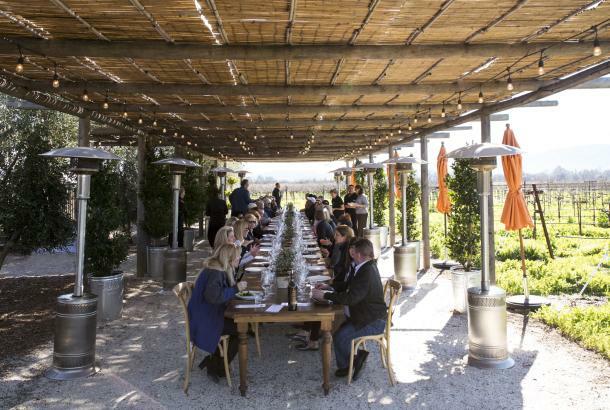 Wine and small bites made by NVC&apos;s Napa Valley Cooking School will set the stage for the literary evening. The wine reception will begin at 6:30 p.m. with the program to follow at 7 p.m., at the Upper Valley Campus of Napa Valley College in St. Helena. Admission is $20 at the door. For further information, visit napawritersconference.org. A Celebration of Form is a daylong visual and performing arts showcase done in collaboration with Art, Sip and Stroll, local artist Chelsea Ritter-Soronen, and the internationally acclaimed Diablo Ballet. For Tickets to the Art, Sip & Stroll visit townofyountville.com / For Tickets to Diablo Ballet visit lincolntheater.com All Art, Sip & Stroll patrons will be given an exclusive discount to Diablo Ballet&apos;s evening performance. Celebrate Arts in April at Etude Wines with a showing of four local Napa artists curated by our very own local artist and employee, Jeanne Dillon. Throughout her 10+ years at Etude, Jeanne has captured many special Etude moments in her paintings inspired by the grounds, the people, and the wines. Jeanne has selected a group of her favorite artists to showcase their talent alongside her own work. Visitors will have the chance to interact with these gifted and diverse artists while sipping Etude&apos;s award-winning Pinot Noirs and Cabernets.